Bachelor of Education students Nerrilie Dunn and Rhiannon Veal with after school care student Billy. Are you thinking of starting uni in second semester? There are many benefits to choosing a regional campus. For one, Bendigo students soon find they have the added benefit the city’s support while studying. La Trobe’s Regional Reward guarantees work placement as part of the campus’ many courses. Bendigo businesses, government agencies, hospitals, media, festivals and community organisations all provide opportunities for students. 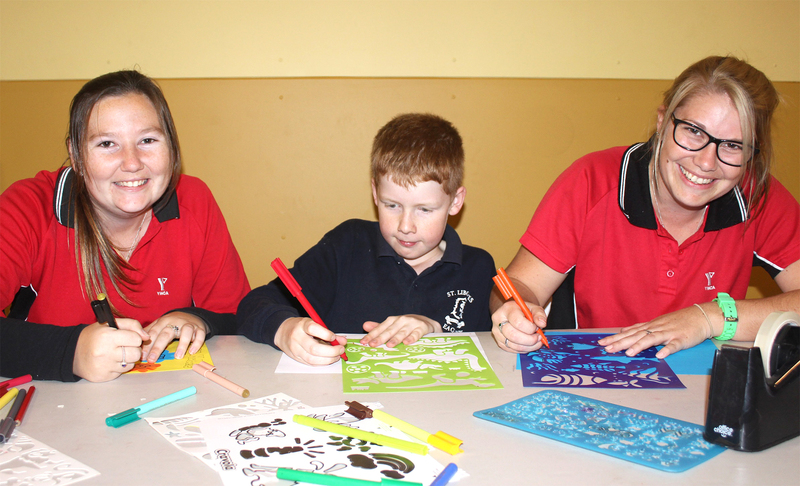 Bendigo primary schools are an important part of a Bachelor of Education, in which students spend at least 80 days on teaching placement. For third-year education student Nerrilie Dunn, the campus was a factor in her family choosing to move to Bendigo from the small rural NSW town of Forbes. “My parents wanted to give us the opportunity to go to university if that’s what we wanted,” Nerrilie says, adding it was great to be able to remain living at home while studying. Rhiannon said the YMCA hires a lot of education students as after school carers. Rhiannon enrolled as a mature-age student when she was 21. By the end of this year she will be a qualified teacher. “I realised there were so many kids with behavioural differences so I also did the specialist education stream as part of my course,” she says. Over the past three years Rhiannon has completed placements at mainstream, country and special needs schools. She says her job with the YMCA is another example of the community supporting La Trobe students. A Bachelor of Education is one of many courses offered at the Bendigo campus. Go to www.latrobe.edu.au/bendigo to discover all courses on offer, from dentistry to creative arts, sports and event management to engineering, early childhood development to pharmacy, and many more.